Now almost two weeks since the remains of Hurricane Sandy hit the east coast, Grace Brethren organizations are mobilized to help with the clean-up. This morning, an update came from Go2 Ministries, which is reproduced below. Also included below is a report from Dan O’Deens, of CPR-3 Ministries, which is helping on Staten Island. We spoke with Michel Faulkner, our colleague heading relief efforts on GO2’s behalf, today. Many people are likely to be without power for at least two weeks and even then, as the electricity comes on and those affected try to return to some sort of normal, there will be plenty of work to do. Please let us know at info@go2ministries.netwhen you send a shipment so we can make sure they know to expect something. There is also a need for reliable automobiles. If you have a vehicle that’s in good running condition that you might consider donating, please contact us about it. In addition to these short-term needs, we’re asking you to help us plan for the long haul. Some homes have already been condemned, some will need major repair. We’re asking groups to consider sending short-term work teams to help with home repairs. “Electricians will be welcomed as if they’re emergency room doctors to an accident,” said Faulkner, with many homeowners anticipating needing major electrical repair. The school children have lost their schools since they’re being used as shelters for all the displaced people. Pray that the children, who are being bussed to other nearby schools, will be able to focus and continue to learn. With winter coming and many people left without homes, without jobs and without transportation, the long-term need is great. Please consider how you might be part of the long-term solution to help our friends in the Rockaways get back to a true normal. 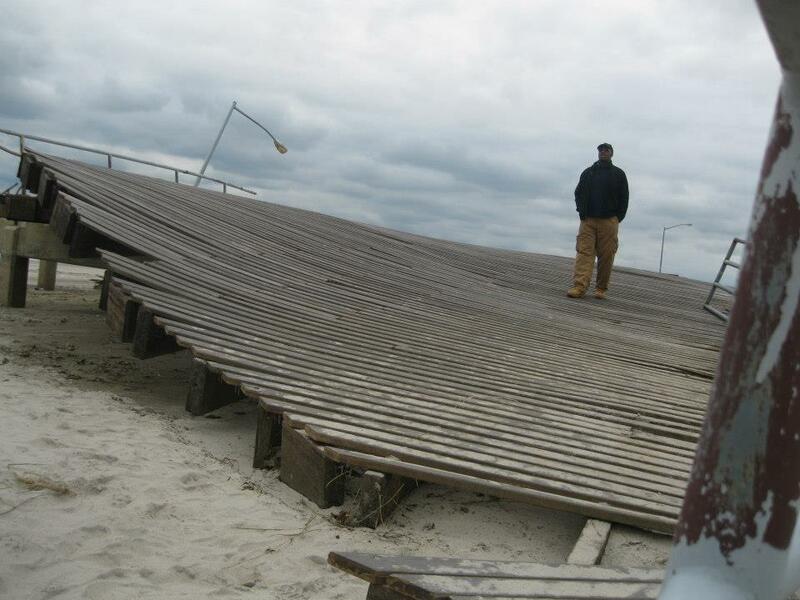 For photos of the devastation in the Far Rockaways, N.Y., click here. Dan O’Deens, executive director of CPR-3, which is helping on Staten Island, also reported in this morning (see below). Already representatives from Grace Brethren Churches in Akron and Pickerington, Ohio, and Owings, Md., are on site to help. DEEPER not WIDER. As Andy Stanley has stated, “Do for ONE what you wish you could do for EVERYONE.” CPR-3 is blessed to watch God weave his tapestry together, aligning his church to come together for a greater cause. We arrrived and knew no one, today we stand together as ONE in kindred spirits with unified hearts, ready to care for peoples physical and spiritual needs. We are thankful for the 8 churches and 150 volunteers who have showed up on site to work hard in extremely difficult situations. The gift of LOVE is by far the greatest gift! CPR-3′s Disaster eMERGency Services is SO proud of how the Church has risen and how it cares for people both sides of the ‘RED’ cross. …Physical and Spiritual.